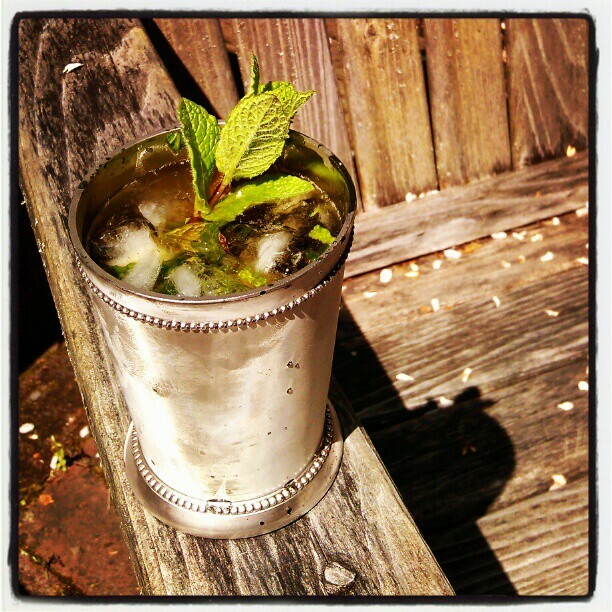 In a tall glass, add the mint and simple syrup. With the handle of a spoon, crush and mash the leaves to extract the flavors. Fill the glass with the crushed ice and pour in the bourbon. Using a tea spoon, jiggle the contents to mix and chill. 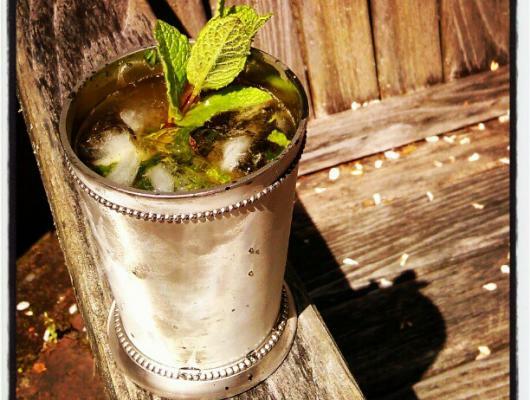 Strain into a julep cup filled with crushed ice.